Not having cool air can be miserable – especially on a hot summer day in Florida. So, if your car is blowing nothing but warm air, it’s time you paid Griffin Auto Care, Inc., a visit. We’re your one stop shop for air conditioning repair and service. 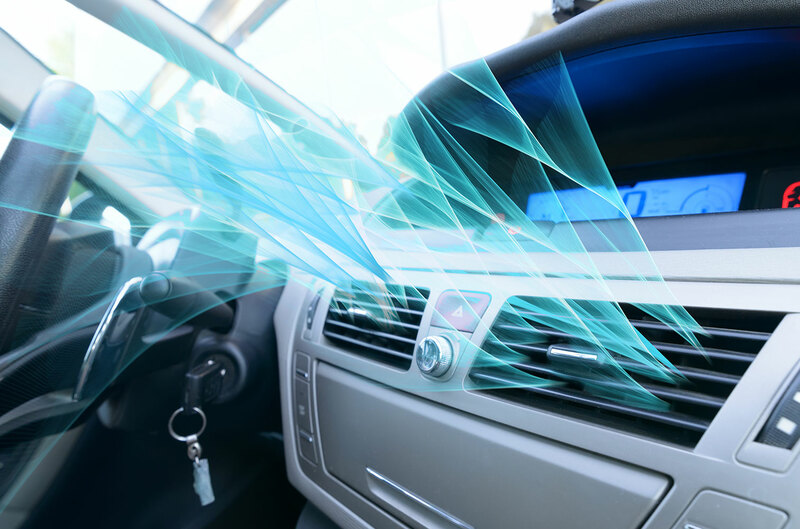 A/C systems can be complex — especially on today’s vehicles with electrical systems. Whether your A/C system is state-of-the-art or several decades old, we can fix it. The ASE-Certified technicians at Griffin Auto Care, Inc., have years of auto air conditioning repair experience under their belts. We can handle any air conditioning repair job from retrofitting an R-12 system in a vintage VW Beetle, to diagnosing a electronic climate control system in a Toyota Prius. A lot can go wrong with your A/C system. That’s why at Griffin Auto Care, Inc.,, we perform a complete inspection of the entire system. We have all of the necessary equipment to test your refrigerant levels, your air conditioning electrical system and so much more. Of course, every vehicle that comes through our shop gets a complete visual inspection. At Griffin Auto Care, Inc., we take pride in having an honest communication forum with our customers. We never recommend anything unnecessary and are happy to answer any questions you may have. Whether you need a new compressor or just a new cabin filter, we will help you understand every detail. We don’t like aggressive salespeople, and we respect that our customers don’t either. That’s why at Griffin Auto Care, Inc.,, we never pressure you into a repair. Instead we communicate the most important repair issues while keeping your best interest in mind. Of course, no A/C repairs will be performed without your consent. At Griffin Auto Care, family owned and operated since 1983, have been providing high quality automotive air conditioning, heating, and electrical repair for automobiles in West Palm Beach and the surrounding areas for over 30 years. Griffin Auto Care provides same day service on all makes and models, including oversized vehicles, RV’s, and vintage cars.